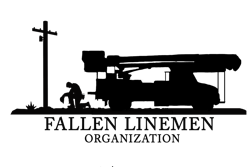 Most lineworkers rarely climb poles today, resulting in the loss of vital skills and the potential for increased injuries when climbing. Additionally, new fall restraint devices, such as the BuckSqueeze, requires training for new users. 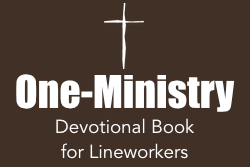 This course focuses on “re-qualifying” lineworkers who are rusty and unfamiliar with the new equipment. A pre-requisite for this course is the lineworker must be a qualified climber. An ISPC Certificate is issued upon successful completion entitled: Climbing Wooden Poles Refresher Training. Certification in pole top and bucket truck rescue should be conducted initially for all lineworkers that are certified climbers and/or work out of a bucket truck. Re-certification of these competencies should be done annually. This course is designed to provide an initial certification or a re-certification for the lineworker. A pre-requisite for pole top rescue training is the lineworker must be a qualifed climber. An ISPC Certificate is issued upon successful completion entitled: Pole Top and Bucket Truck Rescue Qualification Training. This course is designed for the new Hydraulic Derrick Digger Operator or as refresher training for the experienced Operator that may have never received formal training. This course complies with OSHA requirements for ‘Qualified Operators’ however, this is not a ‘Certification’ course. An ISPC Certificate is issued upon successful completion entitled: Qualified Operator – Hydraulic Digger Derrick. Safe operations of a bucket truck should not be assumed for drivers assigned to these DOT rated, heavy trucks. This course is designed to help both drivers and operators of bucket trucks understand the safety issues associated with the truck and aerial bucket use. Proper inspection techniques are included. An ISPC Certificate is issued upon successful completion entitled: Safe Bucket Truck Operations Training. Knowing how and when to apply equipment grounds is of critical safety importance to the lineworker when working around energized lines and equipment or on systems that are de-energized, but have the potential to become energized. This course covers both personal protective grounding and the grounding of rolling stock and other equipment found on the job site. An ISPC Certificate is issued upon successful completion entitled: Effective Grounding Practices Training. Working around energized lines and equipment require lineworkers to be qualified in the concepts and work practices of insulate and isolate best practices. Lineworkers rely on these principles to stay safe. It is highly recommended that refresher training occur at least every 2 years for insulate and isolate best practices. A pre-requisite for this training is a lineworker trained and experienced in energized work. An ISPC Certificate is issued upon successful completion entitled: Insulate & Isolate Refresher Training. Underground electrical systems are becoming more common every day. URD systems have their own special safety concerns that require training both initially and reoccuring refresher training. Pad-mounted transformers are much different than their pole-mounted counterparts and this course is designed for this specialized equipment. An ISPC Certificate is issued upon successful completion entitled: Pad-Mounted Transformer Safety Procedures Training. Rigging skills are important to linework safety yet many lineworkers are weak in this important area of work practice. This course is designed to shore up rigging skills for the lineworker that needs review and practice. An ISPC Certificate is issued upon successful completion entitled: Rigging Skills Refresher Training. Performing maintenance on energized transmission lines is becoming more common. Yet the typical lineworker is unfamiliar with the proper safe work procedures and has never been trained in extra high voltage hot stick work. This course is designed to teach both the theory and best practices associated with this technique and to allow the student field time performing simulated work on energized systems. ISPC is equipped with a fully-loaded hot stick trailer used for training. A course pre-requisite is classification as Journeyman Lineman. An ISPC Certificate is issued upon successful completion: Transmission Hot Stick Training. Performing maintenance on energized transmission lines is becoming more common. Yet the typical lineworker is unfamiliar with the proper safe work procedures and has never been trained in high voltage live-line bare hand work. This course is designed to teach both the theory and best practices associated with this technique and to allow the student field time performing work on energized systems. ISPC will train using your company’s live-line bare hand bucket/basket and your energized line. A course pre-requisite is classification as Journeyman Lineman. An ISPC Certificate is issued upon successful completion: Live-Line Bare Hand Training. Lineworkers are expected to understand and work on URD systems just like the Overhead system. However there are differences and understanding the unique safety issues with URD systems is important in maintaining safety. This course is designed to educate the inexperienced lineworker new to URD systems as well as provide refresher training to the experienced URD lineworker. An ISPC Certificate is issued upon successful completion: Safety in URD Line Maintenance Training. URD cable splicing is as much an art as a science. This course is designed for the lineworker apprentice or as a refresher for the journeyman lineman. An ISPC Certificate is issued upon successful completion: URD Cable Splicing Training. Effective troubleshooting anywhere in the T&D System requires extensive training and a fair amount of experience. URD systems have their own unique problems and can add to that complexity for a lineworker. This course is designed to show and evaluate the various underground system configurations, what can go wrong, how to analyze the problems and determine the best – and safest – fix. A pre-requisite for this class is being qualifed to work on energized systems. An ISPC Certificate is issued upon successful completion: URD Troubleshooting Training. Most lineworkers don’t do much in or around substations or switchyards. But when they do there are many safety issues, unique to substations and switchyards that must be respected and understood. This course is designed to teach the novice and remind the experienced lineworkers how to stay safe around substations and switchyards. An ISPC Certificate is issued upon successful completion: Safety in Substations and Switchyards Training. Had an accident and need to refocus your team on general safety concepts and prinicples around T&D systems? This course is designed to help workers identify system components, their purpose in the system, safety issues associated with system components and important safety practices while working on these systems. An ISPC Certification is issued upon successful completion: T&D Systems Electrical Safety Training. Installing electrical services to the end users is a fundamental skill for every high – voltage lineworker. However, using the correct PPE, tools, equipment and best practices may not be so fundamental with today’s lineworker. This course is designed to revisit this fundamental task and ensure it is done properly and safely, each time. An ISPC Certification is issued upon successful completion: Installing Services Safety Training. Connecting overhead system transformers correctly is often the most perplexing job the lineworker faces day in and day out. Transformer bank connections can frustrate the most experienced journeyman. This course is designed for both the apprentice, new to transformers, and the journeyman looking for a refresher class. An ISPC Certification is issued upon successful completion: Transformer Connections Training. A follow-on to Transformer Connections (which is a pre-requisite), is Transformer Troubleshooting. Having the knowledge and skills to successfully evaluate and repair pole-mounted transformer problems turns the average lineworker into a superior mechanic. This training is a must for a lineworker classified as a ‘Troubleshooter’. An ISPC Certification is issued upon successful completion: Transformer Troubleshooting Training. All classes conducted at the Customer’s site. Practice yard, tools, equipment and PPE supplied by Customer. ISPC Instructor qualifications: Resume’s available upon request. Pricing includes Trainer Fees for one Instructor. Student materials costs additional. Shipping costs additional. Travel expenses are additional and billed at cost. 10% discount on Trainer Fees available for multiple classes conducted during the same week. ISPC Members receive 10% discount on student materials, with each of these contracted classes.